The COMPRESS Vessel Wizard is a productivity enhancing feature that is not offered by other pressure vessel design programs. 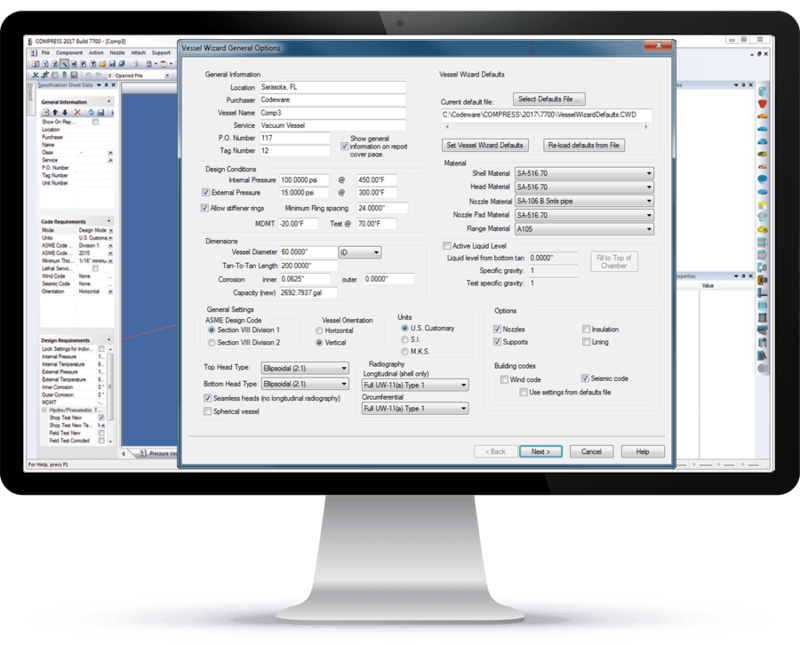 The Vessel Wizard speeds pressure vessel design by creating complete pressure vessel models with minimal input. 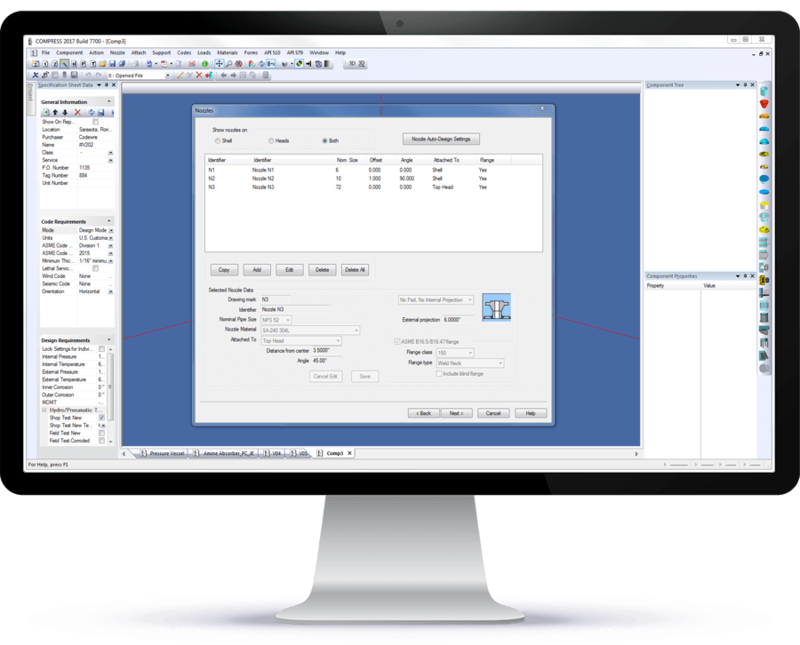 User-defined preferences provide control over the design decisions and component selections made by the Vessel Wizard. After entering the general design parameters, the Vessel Wizard completes the design and details the individual components. The Vessel Wizard also lets you set up any number of user-defined default preferences files. There could be one for stainless steel materials, another for horizontal vessels and yet another specific to a particular customer’s specifications. User-defined defaults provide a way to organize specifications and share them with co-workers saving yet more time. Determines the overall vessel dimensions necessary to satisfy the specified capacity. Creates the required components including shell courses, vacuum rings, heads, nozzles and flanges. Nominal thicknesses are selected from standard sizes based on the governing condition of internal or external pressure combined with wind or seismic loads as applicable. Places vacuum rings optimally (keeps shell weights to a minimum) and selects the smallest vacuum ring section that meets Code. Details nozzles including selecting pipe schedule, internal projection and welds. Reinforcing pads are added and sized only if required by the design conditions and allowed by user preferences. Adds and sizes the specified support components including skirts, saddles, base rings and anchor bolts.